Starting tomorrow, I'll be at Cosmoprof North America, the country's biggest beauty convention and trade show. It's held in Vegas, where I'll be holed up until Wednesday. I'm thrilled to be covering it, and want you to join me in my live coverage. I'll be posting live updates to Twitter and Instagram, and sharing those on Facebook as well, so be sure to follow each channel! 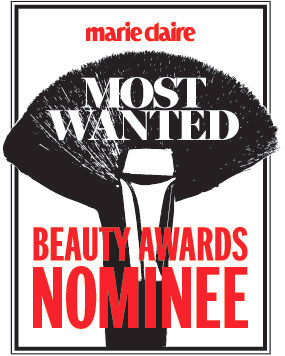 In other exciting news, I've been nominated as Best Nail Blogger for Marie Claire's second annual Most Wanted Awards! I'd love your votes this year, so be sure to choose "Nailed It" in the online survey. After taking the survey, you'll be entered to win a beauty bag, overflowing with beauty products popular today! To take the survey and vote, click here and look for link to the survey!